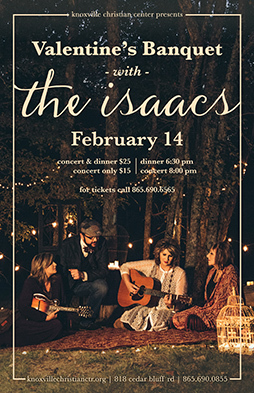 Join us for a romantic candle light dinner followed by a live concert with The Isaacs! The Isaacs have traveled the world, been nominated for several Grammys and won multiple musical awards. Don't miss out on this amazing event with your loved one.